Alicea Davis’ powerful paintings offer original concepts that communicate deep truths and emotions that words alone cannot convey. Each painting is an exclusive original piece of art that inspires thought in the viewer. This painting represents a person shining in spite of being surrounded by the negative judgements of others. This painting represents love breaking through a calloused heart. This painting represents a person’s positive intentions underneath their misunderstood mistakes. 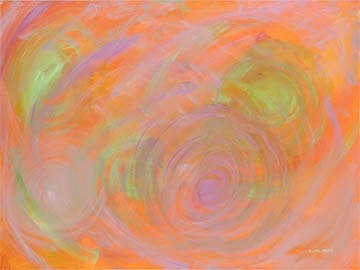 This painting represents purposeful storms forming in multiple areas of life. This painting represents the expectation of great reward. 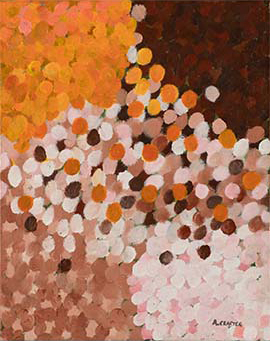 This painting represents people appreciating differences in others. This painting represents the process of hope spreading throughout a community. This painting represents my culture. This painting represents a soul longing to be understood. This painting represents the calmness that conquers chaos. SOLD - "Past the Pain"
This painting represents a celebration of receiving peace after healing. This painting represents the guidance that leads the searching soul towards their discovery. 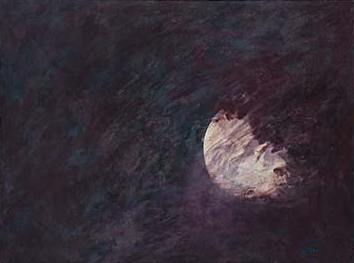 This painting represents the searching soul’s destined path.